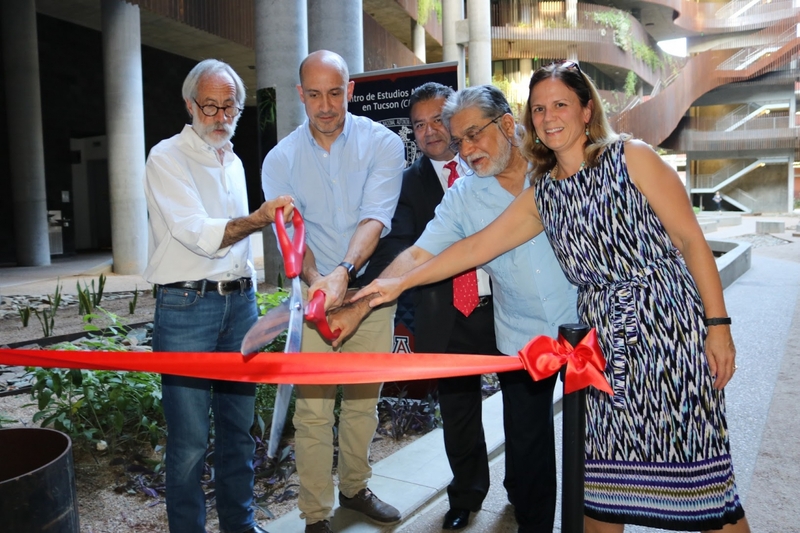 The National Autonomous University of Mexico – Center for Mexican Studies, also known as UNAM – Tucson, is marking its second anniversary at the UA with a photo exhibit, celebrating the advances of the scientific research subsystem of UNAM. Titled “Check this Out,” the exhibit features photos wrapped along pillars at the ENR2 courtyard, presenting a colorful glimpse of the activities of the largest university system in Latin America. The exhibit will remain on display through December, serving as a reminder of the 30-year partnership between UNAM and the UA. “Being here in Tucson, we are finding not only colleagues, but also friends. The quality of the human beings in this community is really amazing,” said Claudio A. Estrada, Ph.D., Director of UNAM – Tucson. UNAM – Tucson was established in the fall of 2015 with multiple goals: to develop joint programs of study, encourage joint research projects, strengthen student mobility, promote Mexican culture, and support migrant programs. In terms of joint programs of study, five are currently in development between UNAM and the UA, including a dual degree in environmental engineering. Collaborative efforts driven by UNAM – Tucson also helped initiate a recent agreement between Israel’s Ben-Gurion University, Tech Parks Arizona, and UNAM’s high-tech initiative. The agreement will increase cooperation on issues related to research, innovation, technology, and business incubation. In addition to academic and research initiatives, UNAM – Tucson has hosted numerous lectures, seminars, workshops, concerts, film screenings, and art exhibits – each imparting the rich history and culture of Mexico to thousands of people in the UA community. UNAM – Tucson also spearheaded a Smart Villages Symposium at Biosphere 2 in the summer of 2017, bringing together leading experts in renewable energies from 20 different countries. 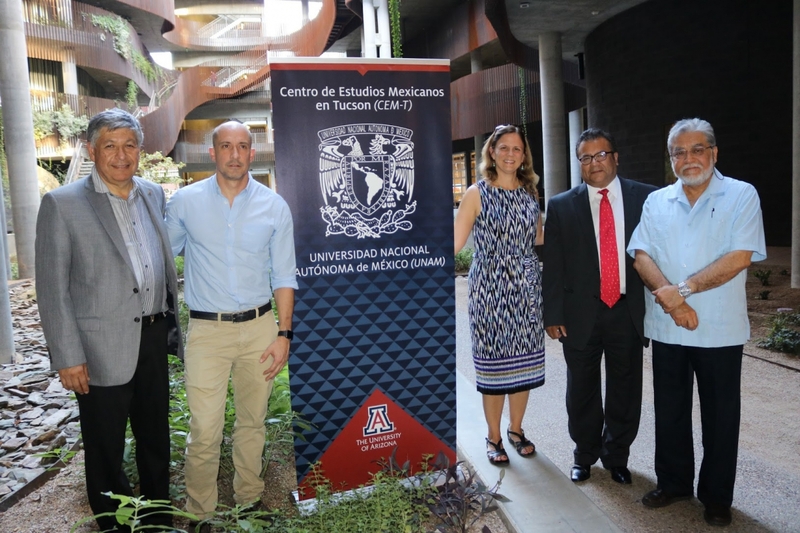 Joaquin Ruiz, Ph.D., Dean of the College of Science, attended that symposium and recently noted the significance of the UA’s partnership with UNAM. Looking forward to 2018, UNAM – Tucson hopes to help establish dual degree programs in science and music, continue to promote Mexican culture, and strengthen activities in Spanish language teaching.